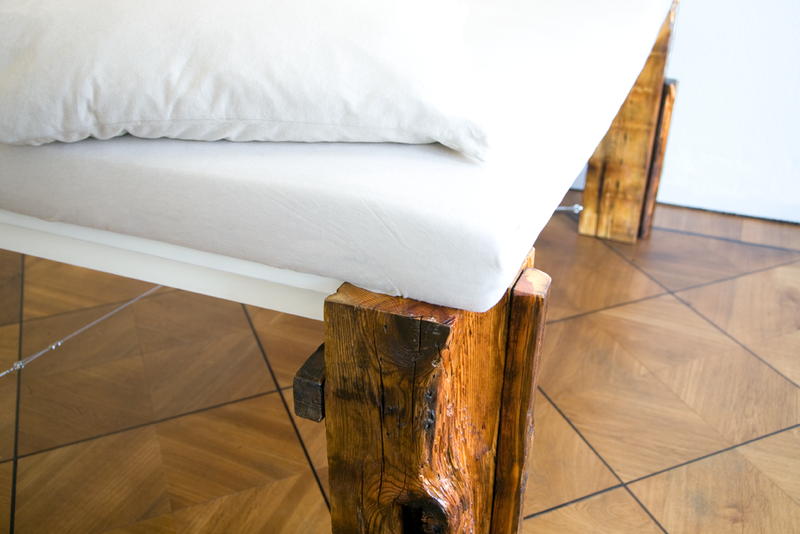 The sculptural quality of the reclaimed wood has driven visually the concept of this bed. 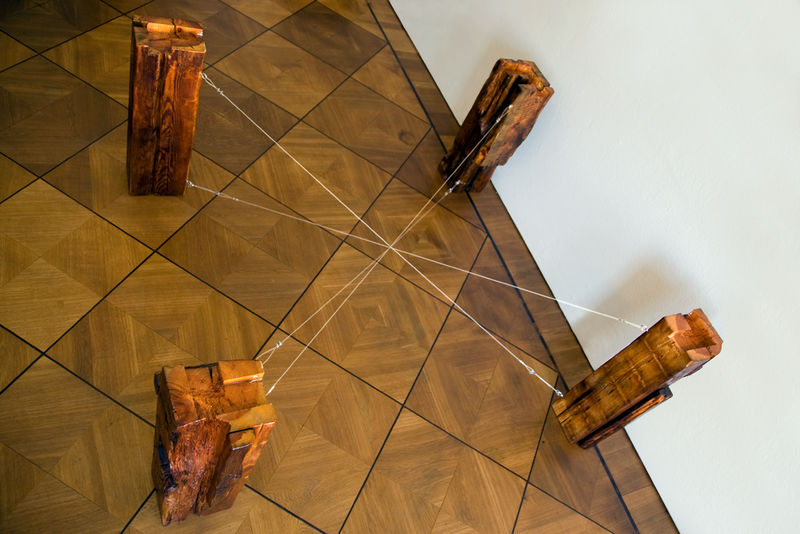 I wanted to accent the new form of the wood, as a result of aging, by using minimal support to gain perfect stability. This was achieved by inlaying the slatted frame in cut grooves on the wooden posts and the tensioned steel rope. The rope is attached in a diagonal orientation forming two pairs of posts. 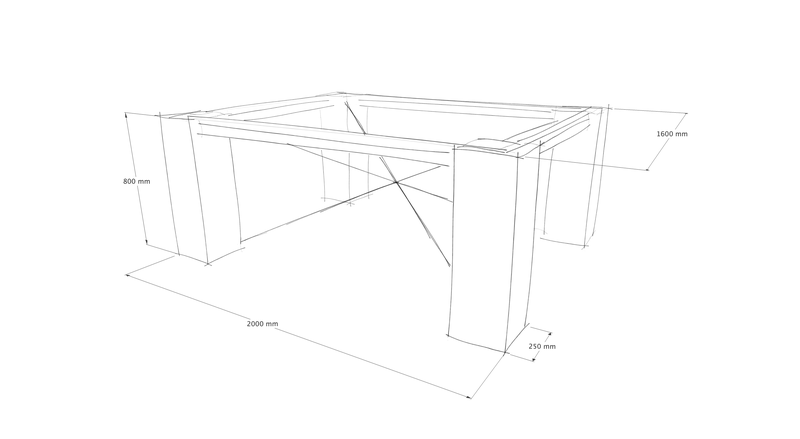 The devised system neutralizes the horizontal forces and keeps this high bed in place. Before treating the surface of the wood in transparent gloss finish it was carefully cleaned from rot and dirt. 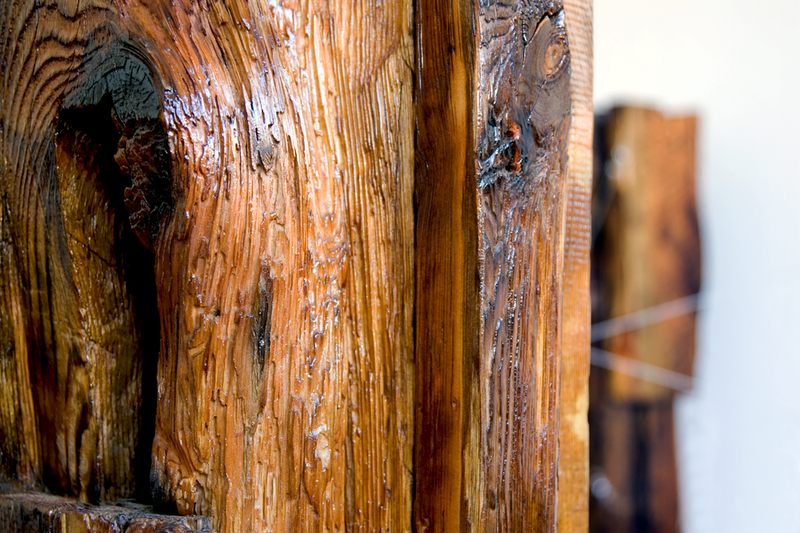 Some of the wooden posts still have the additional wooden support on a sides which was added while they were still in the use as structural beams. Many other markings from the function as beams are deliberately kept. The height of the bed provides additional lightness to its structure and makes an interesting visual contrast to the massive wooden posts.